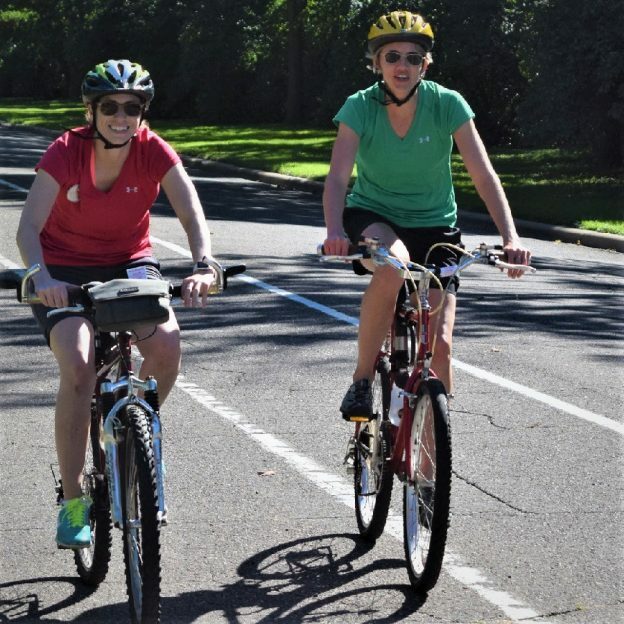 Three happy bike riders on a springtime ride along the Mississippi River Trail. 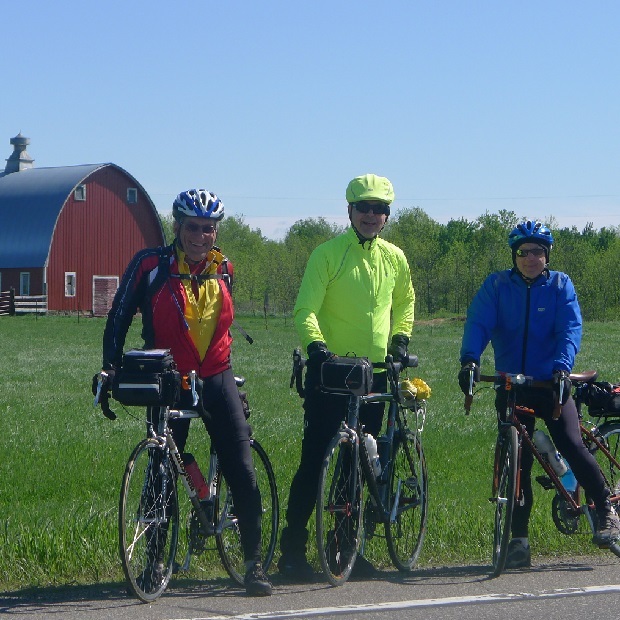 Here Barry Cole, John Ziess and Micheal Becker stop along he road south of Grand Rapids, in northern Minnesota for this photo-op. 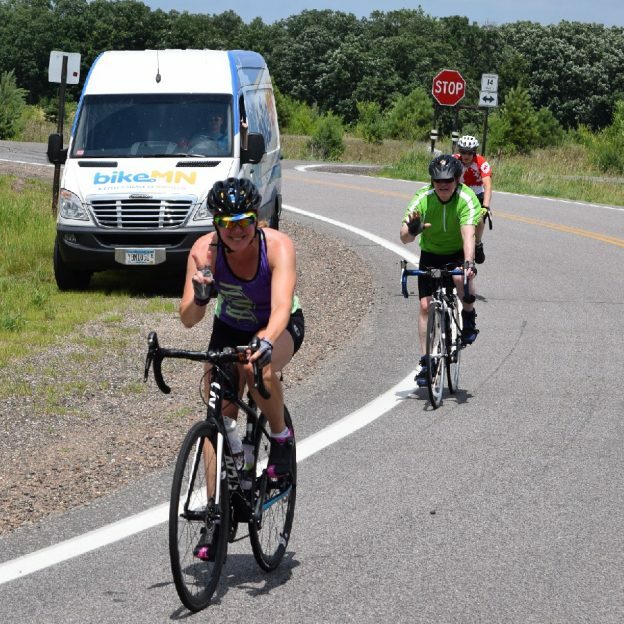 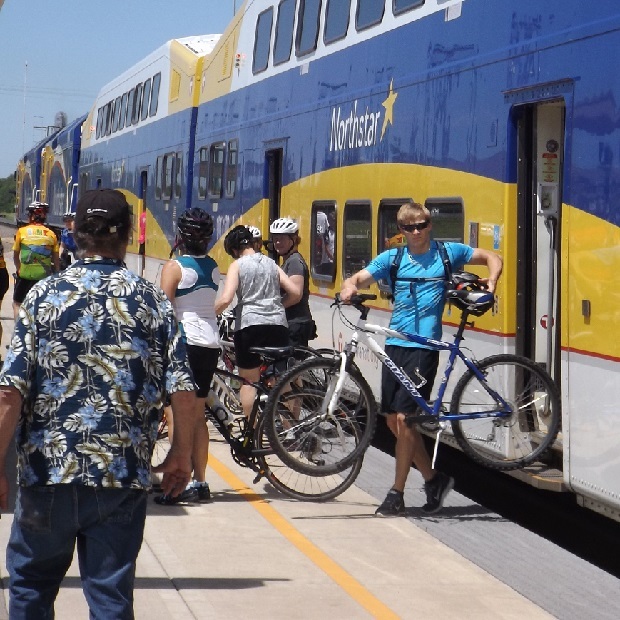 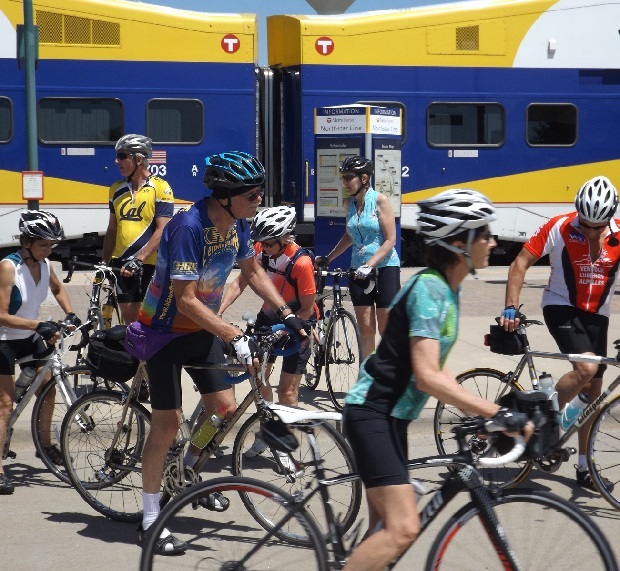 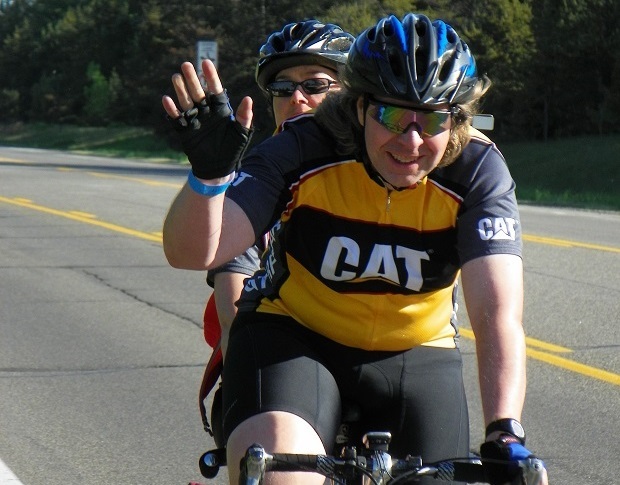 This entry was posted in News and tagged #FindYourNextAdventure, #onlyinMN, bike Grand Rapids, fun bike photo opp., Mississippi River Trail ride, Road Biking Minnesota on April 20, 2016 by Russ Lowthian. 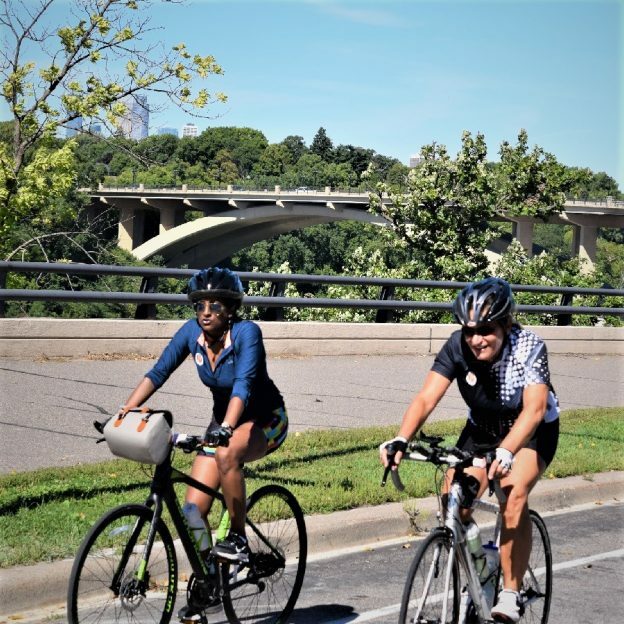 Here the bike pic shows, Mark and Cheryl Norton, a Burlington Iowa tandem couple, cruising the Mississippi River Trail, near Brainerd, MN having fun! 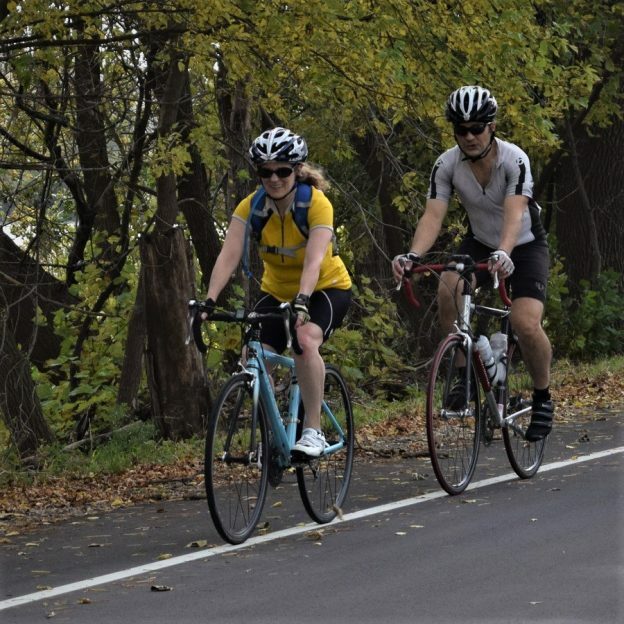 This entry was posted in News and tagged #FindYourNextAdventure, Find your next adventure, Mississippi River Trail ride, MN trails, Road Biking MN on November 11, 2015 by Russ Lowthian.